He was born May 19, 1835 at Fisher’s Grant, Pictou, Nova Scotia, Canada; he later went to work with for his brother, Daniel Foster, in his shipbuilding business in Warren, Bristol County, Rhode Island in the 1850s. 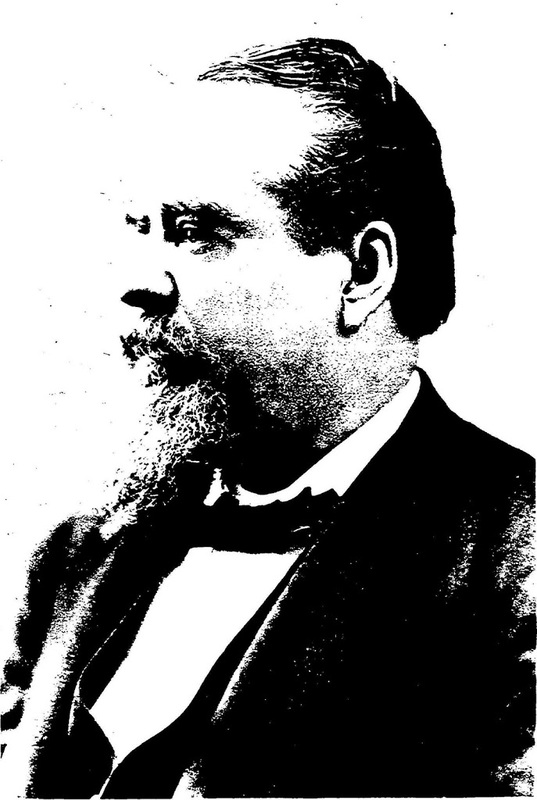 In 1857, Thomas R Foster and his brother Daniel decided to move to Hawaiʻi to try the shipbuilding business in the Pacific. It appears that Thomas Foster was the main brother involved in the Shipbuilding business in Hawaiʻi. On March 4, 1866, the German barque Libelle, on voyage from San Francisco to Hong Kong, grounded on the east reef off Wake Island. Several vessels went to Wake Island to salvage the cargo, which included several hundred flasks of quicksilver. Inter-Island operated the Kauai and Oʻahu ports plus the Kona, Kaʻū, Kukuihaele, Honokaʻa and Kūkaʻiau ports on Hawaiʻi. Wilder took Molokai, Lānaʻi and Maui plus all ports on Hawaii, including Hilo, not served by Inter-Island. When airplanes came to the Hawaiian Islands, the Inter-Island Navigation Company founded a subsidiary, Inter-Island Airways. Hawaiʻi’s first interisland passenger service was launched on November 11, 1929. Foster died in 1889; the Inter-Island Steam Navigation Company built their headquarters on Merchant Street in 1891 and inscribed their building with Foster’s name in his memory. Captain Jacob Brown was “a follower of the sea from his twentieth year”. The whalers of New Bedford and the other Eastern Ports fished the Atlantic and Pacific Oceans. They were hunting for whale products that were in high demand – whale oil was used for heating, lamps and in industrial machinery; whale bone was used in corsets, skirt hoops, umbrellas and buggy whips. In the Pacific, rich whaling waters were discovered near Japan and soon hundreds of ships headed for the area. The central location of the Hawaiian Islands between America and Japan brought many whaling ships to the Islands. Whalers needed food and the islands supplied this need from its fertile lands. Crew list records from the New Bedford ships’ registries show that Jacob Brown was First Mate on the Honqua on an Atlantic whale hunt from July 19, 1841 to June 29, 1843. Then, on a September 1, 1843 to April 13, 1846 hunt into the Pacific, Brown was Captain. He later captained another Honqua Atlantic whaling ground sail from 1846 to 1849. Brown and his wife Cordelia Hastings Brown were shipwrecked and spent four months in the Siberian snows before being rescued by a whaling ship. From Siberia, Brown and family were eventually brought to Hawaiʻi, by way of China. After making a trip to his home in New Bedford, Massachusetts, Captain Brown returned to Hawaiʻi a year later, his family joining him in Honolulu six years later, and remained to take a part in the development of the islands. He retired from the sea in 1852 to assume a government position in Honolulu which placed him in charge of all government wharves and buoys at the port. He was also captain of the towing tug “Pele.” The “Pele” was the first steam tug used in Hawaiʻi (screw tug with thirty-horse power,) called into service in 1854. Its primary use was for towing vessels in and out of the harbor and replaced the use of men or animals to bring ships into the harbor against the prevailing northeast tradewinds. Richards Street was aligned as a straight path used by groups of men, and later oxen, to pull ships through the narrow channel into the harbor. In 1856, the Pele was also used to tow barges about the harbor in connection with the Honolulu Harbor dredging operations. Pele served, with short interruptions, as the sole tug for shipping at Honolulu until after 1882. Brown is later noted as registered owner or partner in several boats in Honolulu: Warwick, Jenny, Haunani, James Makee and CR Bishop. These were typically used for inter-island movement of people and goods. One of the partners was Thomas R Foster, an initial organizer of the Inter-Island Steam Navigation Company which was later incorporated on February 19, 1883. (Brown, a friend of Foster’s, was one of the original promoters of the Inter-Island Steam Navigation Company.) That company founded a subsidiary, Inter-Island Airways, that later changed its name to Hawaiian Airlines. Born in 1815 to Jacob Brown and Ruth Morgan Brown, Captain Jacob Brown died on July 3, 1881 in Boston, Massachusetts, at the age of 66. He and members of his family are buried at Oʻahu Cemetery. He was survived by three children, Jacob F Brown (Civil Engineer and Manager of Hawaiian Abstract & Title,) Arthur M Brown (Attorney, High Sheriff in the Territory of Hawaiʻi (1898-1906,)) and Minnie H (Brown) Gilman; his oldest child, Sarah M Brown, born at sea, later died at the age of 22. 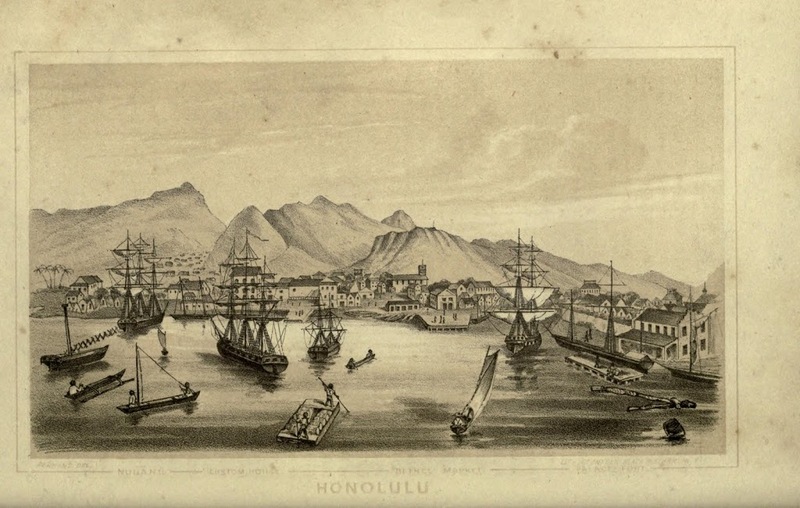 The image shows Honolulu Harbor in 1854 (by Edward T Perkins.) In addition, I have added other related images in a folder of like name in the Photos section on my Facebook and Google+ pages. Samuel Gardner Wilder was born June 20, 1831 in Massachusetts. Wilder arrived in Honolulu in the clipper ship White Swallow in the year 1857, that same year he married Elizabeth Kinaʻu Judd, daughter of missionary doctor and politician Gerrit P. Judd. Their honeymoon voyage to New York on the chartered White Swallow went via Jarvis Island, where Wilder picked a load of guano for sale on the continent. Upon returning to the islands, in 1864, Wilder and his father in law (Judd) set up a partnership for a sugar plantation at Kualoa, and built the mill and the stone chimney together. The mill is associated with a tragedy when Willy Wilder, the nine year old son of Samuel Wilder, fell into a vat of boiling syrup during processing. He died a few days later from his severe burns. By 1867, the decision to end the Judd-Wilder venture at Kualoa was made. The mill ground its last crop during the summer of 1868. After the failure of the plantation, the land was used a pasture for cattle and horses under the name of Kualoa Ranch. He was later in the lumber business, but his wealth and prominence started in the interisland steam transportation business. Starting with the Kilauea, then the Likelike, then many more, he formed a flotilla of interisland carriers and later organized them under the Wilder Steamship Company. The Wilder organization had strong competition from the Inter-Island Steam Navigation Company, which developed from the activities and interests of Captain Thomas R. Foster. In 1905, the Wilder Steamship Company merged with the Inter-Island Steam Navigation Company, forming the largest fleet of steamers serving Hawaiʻi. That company started the first scheduled commercial airplane service in 1929 as Inter-Island Airways and became Hawaiian Airlines in 1941. His life included politics and King Lunalilo appointed Wilder to the House of Nobles. King Kalākaua later appointed Wilder to his Cabinet, where he served as Minister of the Interior from 1878-1880. In 1881, Wilder initiated a railroad connecting the Mahukona port with the plantations in North Kohala on the Big Island (Niuliʻi to Mahukona;) he later bought the Kahului Railroad Company. At this time, the Bayonet Constitution was enacted which created a constitutional monarchy much like that of the United Kingdom – this stripped the King of most of his personal authority and empowered the legislature. King Kalākaua conferred upon Mr. Wilder the distinctions of a Knight Commander of the Royal Order of Kalākaua and Grand Officer of the Royal Order Crown of Hawaiʻi. The image shows Samuel G Wilder; in addition, I have added other images in a folder of like name in the Photos section on my Facebook and Google+ pages.